In Genesis 4 we see sibling rivalry at its worst. But the heart of the matter is what is acceptable worship. One brother gave God what was convenient, while the other gave God his best. Cain compared himself to his brother, became angry, bitter, and did the unthinkable. His heart was not right. What is an Acceptable Offering or Worship? What is God looking for? 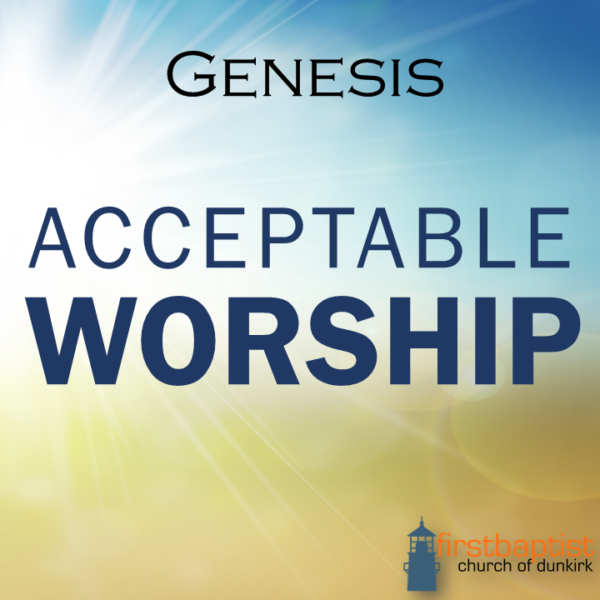 Acceptable Offering to God – True Worship. Reflection back to God. Giving your best. Yourself, your time, your talents, your treasure, your family. Nothing we can do or offer to God is acceptable without Jesus. Rom. 3:23 All have sinned. Hebrews 9:27-28 Jesus Christ was the ultimate offering to pay the price for our sins and to save us.